Join in the celebrations and be part of Cumbria Family Business Day 2019. Family Business United founder and champion of the family business sector, Paul Andrews, is delighted to announce American Family Business Day 2019 which is taking place on October 21, 2019. Family firms across the county are being asked to join the campaign to celebrate all that is great about the family business sector, something that is at the heart of what Family Business United is all about. 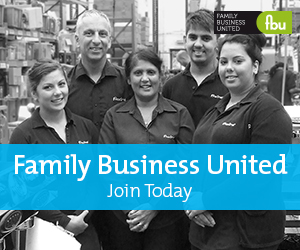 Family Business United is a global champion of the family business sector sharing news, insights, research and best practice through its award-winning online platform and innovative events.